LEGIC has announced a new partnership with contactless credentials provider and systems integrator D&K Deutschland. 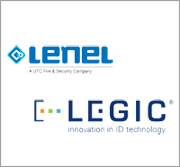 LEGIC says the partners will combine their expertise in contactess ID technology to provide solutions for access control, time & attendance and visitor management systems. According to LEGIC, D&K Deutschland performs all steps involved in the integration of an electronic identification system, including configuration and production of the credentials, installation of the software and distribution of the cards and accessories. The company says this move will help D&K boost its contactless installations in order to better satisfy growing customer interest in the field.